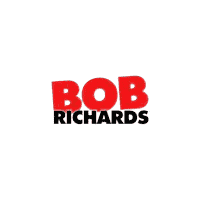 Welcome to Bob Richards CDJR! Bob Richards Chrysler Dodge Jeep RAM’s team of highly qualified technicians is focused on providing exceptional service in a timely manner. Whether changing your oil or replacing your brakes, we always maintain the highest standards for delivering the best service possible, every time! It takes more than just one happy customer to earn the trust of drivers throughout Graniteville, Aiken, and Augusta, GA. It takes a dynamic team of friendly and experienced professionals working hard every day like the ones at Bob Richards Chrysler Dodge Jeep Ram. Dedicated to earning your business over a lifetime, not only do we provide one of the largest selections of new, used, and certified pre-owned vehicles in the region, but we also supply the top-quality financing and service to back it up. The first time you step through our doors to buy or lease a new car is an exciting experience that’s made easier thanks to our knowledgeable team of sales professionals. They’ll take the time to fully understand your needs and patiently answer all your important questions about our great lineup. Whether you’re looking for a versatile and fun-to-drive SUV like the Jeep Cherokee, a durable pickup like the Ram 1500 or a heart-racing roadster like the Dodge Challenger, our selection simply can’t be beat. To begin your search, take a few moments to explore our online gallery before scheduling a visit! Once you’ve taken a test drive and settled on the perfect model and trim, sit down with our team of financing professionals who can help you secure the best available financing to fit your lifestyle. Whether you’re a first-time buyer or a returning customer, our managers will put their experience and close relationship with local lenders to work for you. If interested in learning more, simply complete a simple and secure financial application online. Whether you’re in need of regular maintenance or serious automotive repair, our factory-trained technicians are ready to perform whatever work your vehicle requires. Committed to providing thorough care over the life of your vehicle, simply stop in during service hours or you can schedule an online appointment that best fits your busy schedule. And when you’re in the market for genuine OEM parts and accessories, our parts center is ready to assist in whatever at-home project you have going on under the hood of your car. Visit Bob Richards Chrysler Dodge Jeep Ram Today! If you’re a Graniteville, Aiken, or Augusta driver seeking more information about our current selection and full range of services, stop into our showroom near Graniteville, SC, today. We’re happy to assist you with all your automotive needs and get you on your way to finding the car, truck, or SUV of your dreams!